Proof of UFOs and Wormholes? Wormhole in El Cerro del Pueblo, Mexico? Expansion Theory - Our Best Candidate for a Final Theory of Everything? of atoms in molecular structures in gaseous and plasma form? Click on the images to enlarge. 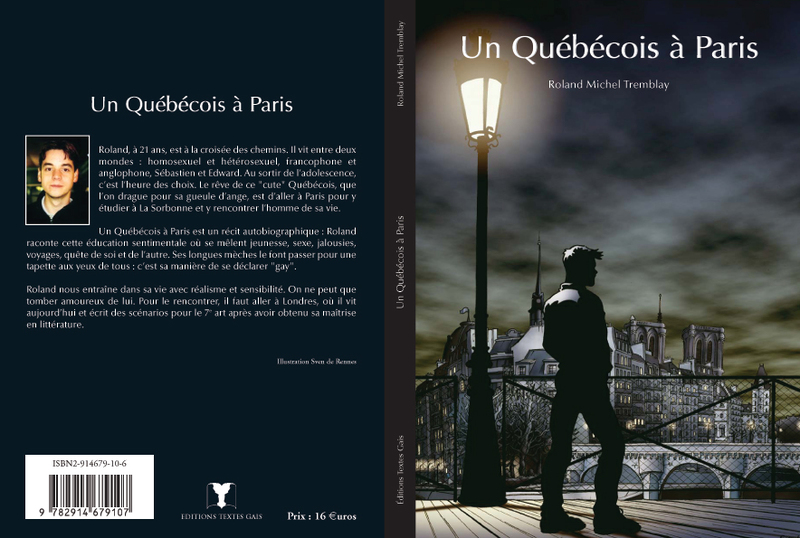 Available in most bookstores in France including Virgin Megastore and FNAC. It will soon be available in Canada. In the past few years I have been leading two professional lives in parallel. The first one is in the world of Conferences in Telecoms and IT where I have been writing and managing major European events. My second life is the one of an author and technical adviser writing novels, essays, documentaries, film and television scripts. I have studied for one year at la Sorbonne in Paris and I have finished a BA Language and Philosophy at the University of Ottawa in Canada. I also have a college diploma in Sciences from the College of Jonquière in Québec. The books are: Eclecticism (Philosophical Essay), Waiting for Paris (Novel), Denfert-Rochereau (Novel) and The Marginal (Poetry). 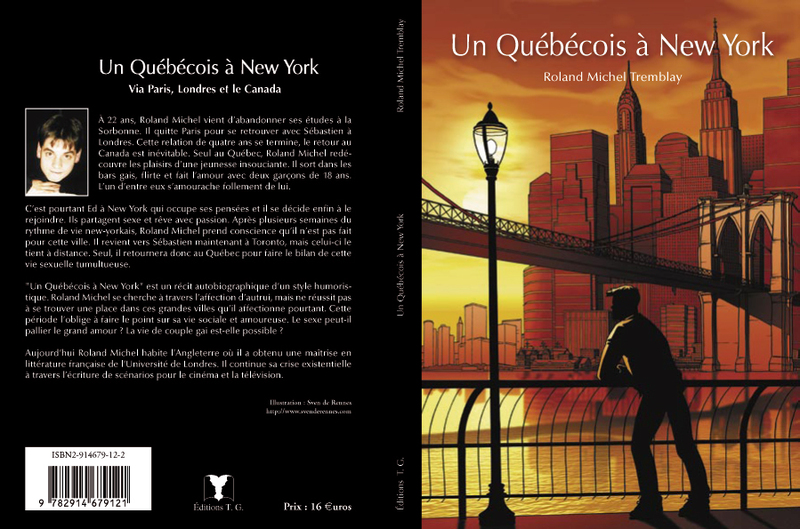 They are distributed in France, apparently they are the most popular of the publishing company and are also distributed in Belgium, Switzerland, Canada, Africa and Middle-East. 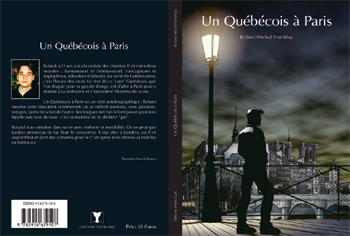 My fifth book Un Québécois à Paris (A French-Canadian in Paris, Journal-Essay) has recently been published in France and initial feedback is very encouraging. More information about this in my bio-biblio and my CV. The rights for all these ideas are available. Please contact me if you are interested, I can quickly write a script if needed. All these ideas can be adapted for a short or a long feature film, and the TV series can be adapted for a film. Individual descriptions (short synopsis) follow the summary. You can read the long synopsis of these ideas when you click on the links (they follow the short synopsis). If you are recently graduated students or your production company does not have much money, it is possible to film these ideas for free as long as if it does make any money you do not forget about me. I am a fountain of ideas, contact me and I will see how I can help you. Warning: they don’t sound right in 100 words, so if you are slightly interested please click the link and read the short and long synopsis. A girl died in a fire with her two brothers in the past and again in the present. As a ghost she lives a normal life amongst the living who are unaware of her death. She sees reality as it was in the past even though she lives in the present. Sometimes she disappears without warning, she appears out of nowhere and at times she can be seen in a weird state standing still with her two brothers. She seems to have an agenda and the people close to her have visions of her past until they figure out what is going on and help her find peace. A successful and rich philosophy teacher who is paid to think and publish by a renowned university is experiencing Déjà Vu at an alarming rate. He turns all his attention into understanding the phenomenon but as he thinks some more he gets to uncover something really wrong with his existence. His Déjà Vu episodes no longer reflect reality, events and people are changing everyday, contradicting his previous memories of the events. Understandably it makes him question not only his sanity but also the normal flow of time and the reality we have all come to believe in. Seven Dials is a monument in Covent Garden London where seven streets meet. Beside is The Box Café where most of the story happens. Raymond is the anti-hero accomplishing himself in the universe of alcohol, clubs and theaters. Each morning Ray is waking up near the monument in front of a different street to find his world completely different from the previous day. Since he is bad himself and that his situation is getting better, he will find it difficult to adapt to these new parallel universes. Frederique Loren and Frederic Lorentz are studying human behavior, statistical probabilities, real predictions of the future. When they meet they realize that they are a perfect match but don't dare admitting it in order to not be the victim of this predestination. They wish to be free of making their own decisions without becoming a casualty of their theories. This desire to not be a statistic brings them to the brink of war. After acting like mad people, they finally accept that they love each other. After a psychokinesis experiment, Virginia realizes that she is the most psychic woman alive. Though she is now able to influence the people and the events in her life to make everything that she wants a reality, she finds it difficult to cope with the unchallenging life she just inherited. After using her psychokinesis abilities to reach success, she foresees her own suicide. Only by abandoning her clairvoyance gift can she finally appreciate existence. A woman has been asked to investigate a strange phenomenon, books from the future are being shipped into the past for an unknown reason. While trying to figure the how and why, she will find a book stating that the next President of the United States will become a kind of Hitler and she will presume that she needs to prevent his ascension. Little she knows as doing so and succeeding she helps destroying the world. The last post before Utopia is the last village before reaching the mythical world of leisure and technology. This island crowned with a castle is where the hero fought hard to bring his nation, a once rich and flourishing civilization now decimated. Trains bring rightful people to Utopia. Once on the other side things are not going as planned. Perhaps they were not ready and three tests are devised. They succeed but decide to go back to their medieval village as perhaps that was paradise all along. Thomas uses drugs one night with his girlfriends. When they both die he is left alone. After a few horrible hallucinations in which he is haunted by his friends, Thomas is diagnosed with schizophrenia. He is prescribed drugs that help him control his hallucinations up to a point where he no longer thinks they are illusions. From there he becomes obsess with communicating with his friends. His parents ultimately destroy his findings. Once Thomas dies, his mother understands and succeeds in communicating with him. But is she? This film will pretend to be doing a documentary about two very fat ghost hunters who have created their own investigation organization. Rupert and Adelaide are very common and have no manner, but they are portrayed in a very realistic way and they do try to be classy with their fake British accent. Their son William is very thin, unimpressed and angry at them for no particular reason. They investigate three places before Rupert dies. The mother and the son succeed in communicating with the dead father. The Blonde Bombshell is the story of Smyrna Durmus, a struggling Turkish actress from Izmir living in London. She is obsessed with a blonde British actress to the point that she will try to kill her, believing that she is responsible for her own struggle. Being a dark Turkish girl, how can she ever hope to make it in a world where only fake blondes without an accent succeed? She will become a stalker, saying bitter things about it all, until she decides to kill Erika Precious in order to get fame out of it. "Our existence is due to a temporal paradox and the destruction of an entire galaxy. Our future depends on the survival of many parallel universes.” A civilization living in the year 6451 on a terraformed planet just discovered that they owe their existence to a temporal paradox. They found an old book from 2006. They realized that if they don't send a message to that author into the past, and then go to the past themselves, they will never exist, leading to the complete extinction of humanity. "There is something quite not right with the Universe." A computer programmer is writing the perfect universe for an interactive virtual world. The development of this game is not easy as the virtual characters are aware of their existence and should really take the world as a real one. This is a bit like playing God and creating the perfect universe where no human will question it and will take it as is. Testers have to play the game to find out if there is any glitch. My Science Fiction novel (see the below for description) would do a nice sci-fi film. A group of scientists sends a ship with its crew into the very small, reaching the very large on the other side of the galaxy. This is the implications and the applications of some new theoretical physics theories. What will it change? What can be invented considering the theories? Travel in time and very far from here. Finding a nice green planet and discovering that the people there and their beliefs exist because of our first probe. All the ideas for Entertainment Shows I am presenting here (unless stated otherwise) could be shown on any main terrestrial channel. They are all one hour shows and I suggest 13 episodes to start with. The new Science Fiction novel based on my theories. Many chapters are already there. A group of scientists sends a ship with its crew into the very small, reaching the very large on the other side of the galaxy. This is the implications and the applications of the Shrinking Theory and Universal Relativity. What will it change? What can be invented considering the theory? Travel in time and very far from here. I am thinking about changing it into a film script instead of finishing the novel. These pages are the result of months of research for sci-fi television series, documentaries and Hollywood films. Every time we wanted to do something, for example render someone invisible, there were many different solutions to choose from. How do you travel in time? How do you justify it from the point of view of science? How did other sci-fi shows exploited the idea? This is what these following reports are trying to answer. As I am a philosopher researching Theoretical Physics, I came up with new ideas that do not always go hand in hand with the actual science. The world of science fiction needs that, new ideas, new ways of impressing the viewers with a science that does not always respect Einstein. Surprisingly through this research I came up with answers that could explain many things like ghosts and paranormal phenomena. I think the readers will find these ideas groundbreaking and opening many doors to our understanding of the universe we live in. I would be delighted to help you as a Sci-Fi Writer, a Scientific Consultant, a Technical Adviser, a Story Researcher or a Development Producer if you are working on a film or a television series. Please don't hesitate to contact me if you don't understand something or if you need more insights. New for 2007, an update of my Shrinking Theory in view of the revolutionary new book by Mark McCutcheon called The Final Theory. New theory of the Universe. How Einstein's Theory of General Relativity, Quantum Mechanics and the Superstring Theory can change our view of the Universe. Going faster than the speed of light, shrinking or expanding instead of covering a distance, the configuration of the universe being relative to the point of view. I have added here my correspondence with William Taggart about his related theory called Time Density Mass (TDM)/Scale Relativity which gives me some equations I was looking for. Here is an event that took place some months ago in Mexico near Chihuahua and the famous Zone of Silence. UFOs coming out of a hill that turns out to be one of the most important deposit of barite, a barium bearing mineral that exhibits more gravity than any other mineral with no metallic constituent elements with the exception of uranitite. Could this be the manifestation of a wormhole, inter-dimensional window or something science fiction has not yet thought of? The science that could explain some of this is discussed in the reports: Time Travel and Parallel Universes. Marginals of the world united!